For this the inaugural edition of Man Food we're making Beef Jerky! Fact: I love meat. Yea I said it. Fact: Meat has a slight portability issue. 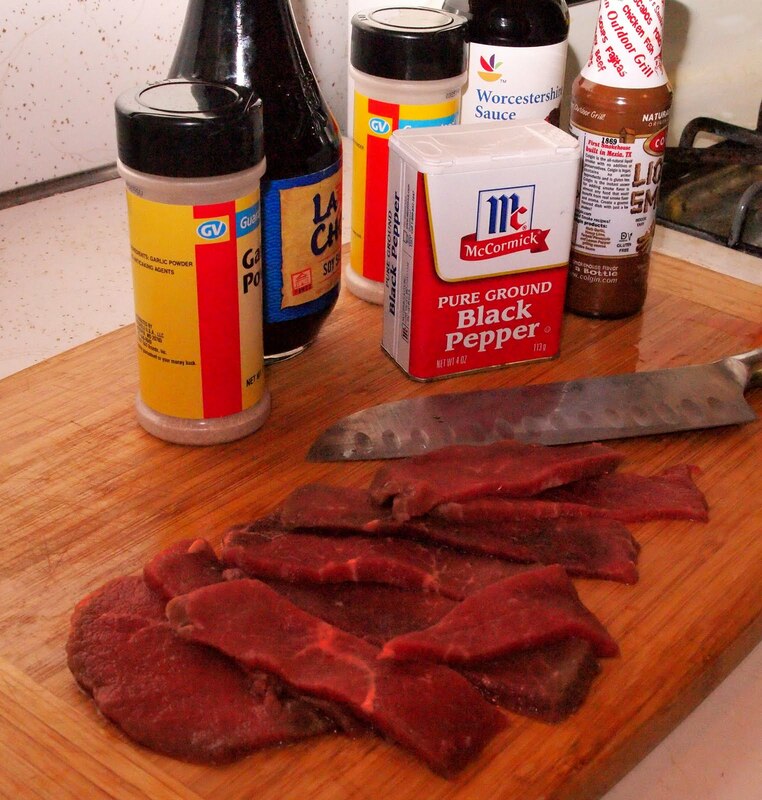 Better Solution: Homemade Beef Jerky. 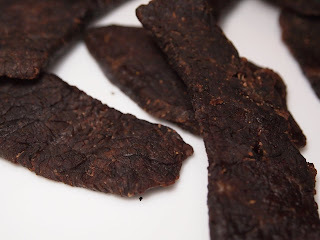 Before you begin, there are a few different ways to dry your Jerky, I used a dehydrator, you can use an oven, or even a box fan and air duct filters. I chose the dehydrator for the simple reason is that we were in the middle of a heat wave and it did not seem like a fun idea to have my oven battle my air conditioning for control over my house. Cut your desired steak into thin strips, I go about an inch wide and 1/4 inch thick. Different sizes will dry at different rates, so try to be uniform. Marinade in a Ziploc bag for 3-6 hours, unless you used cola then the acidity of the cola will turn you meat into a mushy mush thing. Pro tip: Your Jerky will continue to dry slightly after its freed from the confines or your drying apparatus. Remove it just before optimal dryness is achieved. And there you have it, you just birthed a masculine haunch of Beef Jerky. Look at it, its goddamn glorious. 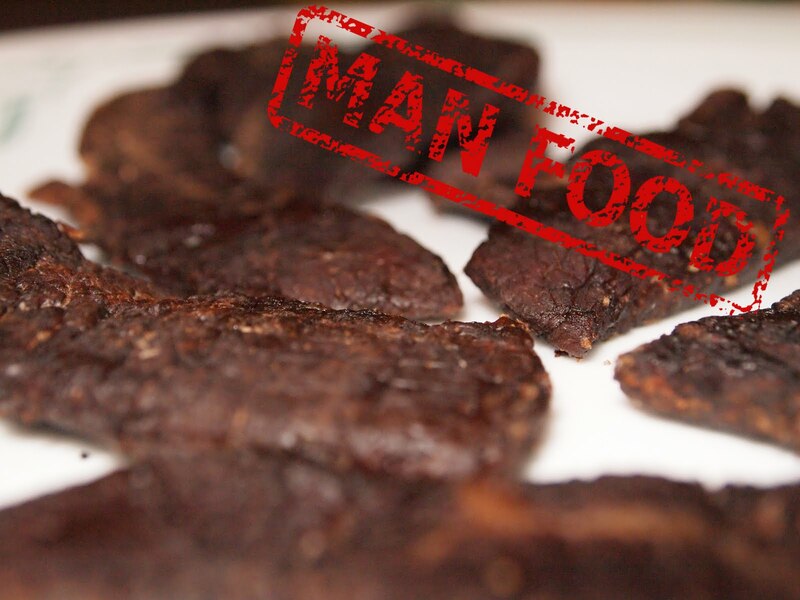 My favorite uses for Jerky are as followed; movie snack, driving snack, zombie Apocalypse survival snack, breakfast, lunch, second dinner, hiking treat, and as an aphrodisiac. If you like this article or any other article, or want to suggest a recipe or anything else you can reach us at Itsbestservedhot@gmail.com All feedback is welcome. Pasta Dinner in a Dash! Fantastic Southern Style Sweet Tea!! 1 Stir fry of Many! !